17th hole, Pebble Beach. Step up to the tee, select your club, check which way the wind is blowing. Think you can clear that tree? Address the ball, bring back the club, swing ... THWACK! Oh, no, you´re in the rough. 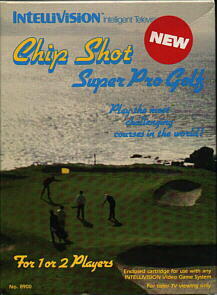 It´s a difficult lie ... pull out your wedge ... swing ... and chip onto the green! Putt in for par!